Indian traditions might seem different and unnecessary to several modern citizens today, but our ancestors definitely One of the best aspects of traveling in India by road is the amazing food joints on the highways. These food joints called Dhabas vary from place to place. The main attraction to Dhabas is the added homely factor. These Dhabas, originally meant as highway pit stops serving local refreshments, may look shoddy and shack like, but today, they mean serious business. They not only feed the gurgling stomachs of the passers-by but also reflect upon the authentic tastes and hospitality of the locality their region. 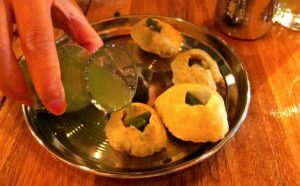 On your next road trip in India, check out the Top Ten Dhabas, each of which something unique to offer has! This Dhaba is situated on the Leh- Srinagar Highway, 50km away from the city of Leh. It may look nothing like an upbeat fine dining experience, but this concrete shack will prove to entangle your taste buds with its fine taste of food. The views and the pure mountain air are a bonus! Enroute to Shimla on the National Highway 22, this restaurant-ified Dhaba is easily one of the best eateries in Dharampur. It is well maintained and provides you with a good ambience. Giani does the best butter chicken, and the cold climate makes it a treat all year round. This Dhaba may be the one exception to the classical shack like look of a Dhaba. Sukhdev Dhaba shons a retro-classy outlook and tourists tend to devour on the dishes served by the chefs here. Their famous “makki ki roti and sarso da saag” makes several mouths water. Located on G.T. road, Murthal NH1; this place is a must stop by. This Dhaba is located on G.T Road, Karnal and is a destination Dhaba for several tourists. It is the modern replication of a Dhaba with several amenities and not to forget the authentic, mouth-watering Punjabi cuisine. Travellers not only enjoy the luscious amenities but also devour on their amazing Punjabi food. As the name suggests, this Dhaba is extremely famous for its delicious Lassi . Sweetened or salted buttermilk that will cool you down and get those hydration levels restored. This one offers a choice of X unique lassi flavours, and thus one allures a lot of international travellers. This Dhaba not only comes with an authentic Punjabi name, but also lives up to its name. The mouth-watering and wide variety of Punjabi dishes served at Puran Singh Da Dhaba is sure to engross your olfactory as well as your gustatory senses. The Cheetal Grand located on the Delhi-Dehradun highway, may look like a restaurant to the eye, but is whole heartedly one of the best food joints on the way to Dehradun. This place offers several traditional as well as western cuisines to pamper your senses. Located in a picturesque location, the Bhajaan Tadka Dhaba is one of the cleanest and most well maintained places in the country. The food is delectable and the amenities are top-notch. The Sharma Dhaba, located on Jaipur Sikar Road is one of the most unique Dhabas. It serves you the authentic taste of Rajasthan on a platter. With two dining areas to offer, this Dhaba is a never ending tourist attraction. Situated on the Delhi-Jaipur Highway, the Rao Dhaba serves the most scrumptious vegetarian and non-vegetarian food. Your gustatory senses are definitely in for a treat. Their famous south Indian meals will help you get a taste of south India in the north. One can taste the passion and love put into cooking the dishes while tasting them.